As announced by the Tribeca Film Festival, JAY-Z's docuseries, Rest in Power: The Trayvon Martin Story, will be included in its festival lineup this year. In addition to the series making its official debut at the festival, Martin's parents, Sybrina Fulton and Tracy Martin, will address the audience following the screening. 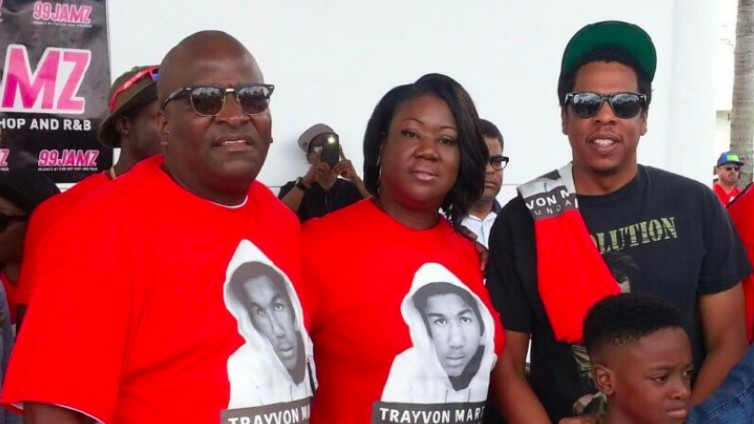 As previously reported, the six-part series is based on the book the couple wrote, Rest in Power: The Enduring Life of Trayvon Martin, which celebrates his life and discusses the impact their teenage son had on communities across the nation. Jay Z executive produced the series alongside Trayvon's parents, Chachi Senior, Michael Gasparro, Jenner Furst, Julia Willoughby Nason, and Nick Sandow. Last month, the veteran rapper attended the sixth annual peace rally organized in memory of the slain teen who would have turned 23 this year. His killer, George Zimmerman, was acquitted of all charges. "Trayvon serves as a beacon of light to all the people out here so you guys would never have to go through the pain and the hurt these guys went through. His name will sit alongside some of the greats whom lost their life to push our culture forward," JAY-Z said during his commentary. "The Martin Luther Kings, the Ghandis, that's the intention that we set, that his name serves as a beacon of light and hope and push us in a better direction." The 2018 Tribeca Film Festival is scheduled to take place April 18-29 in New York City. For more information about ticketing, please see here.